Put on you chef apron and get cooking! Master delicious recipes, equip your kitchen with the best cooking gear and make bold culinary experiments like a real gourmet expert! • COOK with over 40 ingredients and let your gourmet creativity loose! Eggs, cheeses, potatoes, mushrooms, bread, peppers, chocolate, exotic spices and extracts and even fruit! • LEARN and MASTER more than 30 real-life recipes! 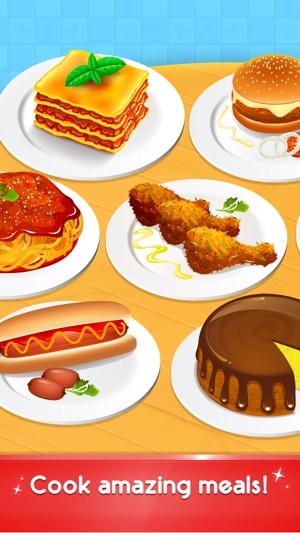 Prepare tasty dishes and tempting desserts like Spaghetti alla Bolognese, Garlic Mashed Potatoes, Ceasar Salad, Hamburger, Beef Strogonoff, Stuffed Mushrooms, White Cake, Molten Lava Cake and many others! • UPGRADE your kitchen with professional equipment that will help you to cook mouth-watering food faster and better! 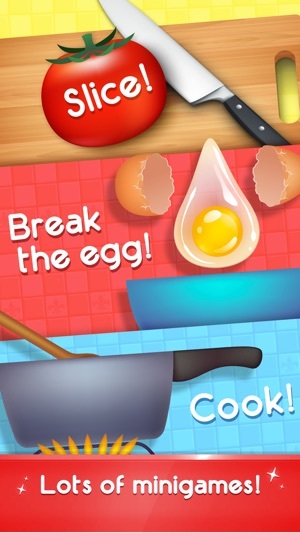 • PLAY fun cooking minigames to master the culinary arts of breaking eggs, slicing vegetables, stirring and more! 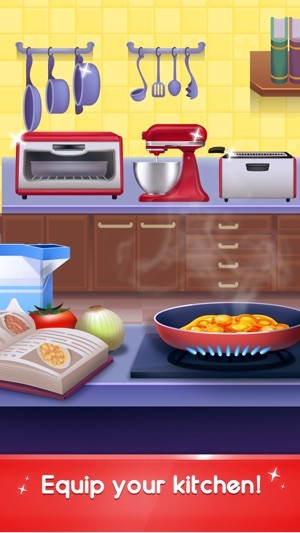 • COMPLETE your cookbook, try and get all-star ratings in every recipe and become an expert chef! Unlike Cooking Story, this app lets you keep going if you fail on something, which is good. Who would want to not continue their recipe all because players get "Bad"? 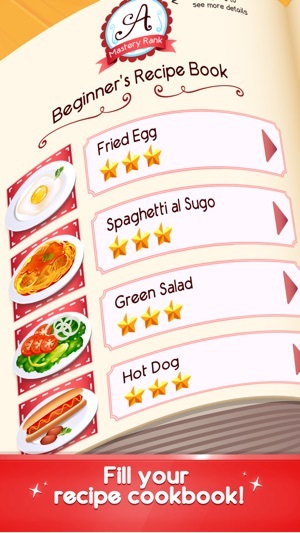 The recipes are so cool to make. I'd love to make them at home, too. Do you want to cook on the go when you have no cooking Supplies with you? Look no further than getting this game! The reward system is awesome. If you open this app for days in a row, you get awards everyday. Each and every reward is good. Until the black screen problem is gone, my suggestion to players is to restart your device. The game will run properly afterwards. Despite the 2 problems, I overall LOVE IT😍! I love this app. It's really fun and I play it whenever I need to relax. There are only two things I would like to be fixed. 1) I would like it if you made it easier to get stars. 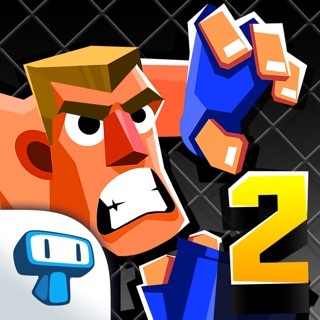 Currently, I am finding it IMPOSSIBLE to get past four stars, and that's really frustrating. 2) I HATE all the ads that there are. They are always popping up and it's really getting on my nerves! Other than that, I really like this game. If you could just fix those two things, I would enjoy this game so much more. Thanks!